A thrilling landmark film that jolts along at a breakneck pace, Escape From New York leapt to cult status with high-octane action, edge-of-your-seat suspense and a mind-blowing vision of lone warrior Snake Plissken (Kurt Russell) battling his way out of a post-apocalyptic Manhattan. As this represents my fourth review of 1981’s Escape from New York, I’ll forgo my usual full examination of the movie. If you’d like to check out those thoughts, please click here. Escape From New York appears in an aspect ratio of approximately 2.35:1 on this Blu-ray Disc. Though not a terrible transfer, the image seemed lackluster. Much of the flick takes place at night, so expect a dark presentation. It entered daylight for parts of its last half-hour or so – radical continuity errors take us back to nighttime along the way - and those sequences provided more attractive images. Still, even the daytime shots weren’t anything special. While blacks appeared fairly dark and dense, shadow detail was a problem. The nighttime setting often came across as rather murky, and it wasn’t especially easy to make out the action. However, this appeared to be the way the movie was shot, so I found it hard to slam the transfer for that issue. All the darkness affected definition as well. Sharpness was an issue, as quite a lot of the film seemed rather soft. When the movie boasted better lighting, clarity improved as well, but even the brighter shots could be inconsistent. No issues with jagged edges or shimmering occurred, and I saw no edge haloes. A few minor specks and marks appeared, but most of the movie seemed clean. Colors were decent. This wasn’t a movie with a big, broad palette; occasional instances of lively hues emerged, but it usually the film went with green or blue tints. These looked acceptable but lacked much breadth. Overall, this was an up and down image that was held back mostly due to softness. At least the DTS-HD MA 5.1 soundtrack held up well. I thought the audio provided a surprisingly engaging and active environment that seemed fresher than one would expect from a 34-year-old movie. The forward spectrum displayed a lot of lively and discrete sound from all three speakers, and the audio usually blended together neatly. The directionality of the front channels was strong, and surround usage seemed engrossing as well. The rears provided a positive ambient experience, and they kicked in nicely during some of the louder sequences. Especially terrific were any scenes that involved helicopters. Those vehicles sounded bold and bright and swirled about effectively. While the audio could be a bit dated, it still sounded good. Speech occasionally came across as a smidgen reedy, but the lines usually appeared pretty natural and distinctive. The film’s dated but workable synthesizer score presented nice dynamic range and often offered solid low end; bass always stayed tight and firm. Effects betrayed the thinness typical of recordings from the early Eighties, but they still had decent heft at times. These elements were satisfying and clear much more often than not; for every slightly harsh bit, I heard many more that seemed surprisingly full. This soundtrack rarely betrayed its age, and I thought it deserved a solid “A-“. 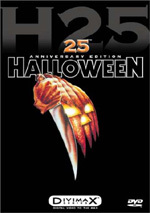 How did the 2015 “Collector’s Edition” Blu-ray compare to the 2010 Blu-ray? Audio seemed identical, but visuals offered a step backward. While the original Blu-ray had some issues with softness, it seemed better defined than the 2015 release, and it also was cleaner. Again, the 2015 disc didn’t look bad, but I thought the 2010 release offered superior visuals. While the prior Blu-ray came with almost no supplements, this new “Collector’s Edition” packs in the extras, and wee find three audio commentaries. 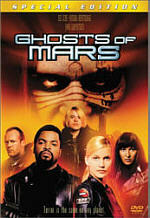 Ported over from a 1995 laserdisc, first we hear from writer/director John Carpenter and actor Kurt Russell. Both sit together for this running, screen-specific piece. This track enjoys a reputation as one of the all-time greats, but it doesn’t deserve it. While interesting and satisfying, it doesn’t merit inclusion among the top commentaries ever recorded. That said, it does offer a fair amount of good information. We learn a lot about the production, mostly connected to its low budget and tight shooting schedule. Carpenter tells us about various locations, story points, actors, and challenges. Russell chimes in mostly with anecdotes about his experiences. As with prior commentaries in which the pair chat together, Russell just laughs much of the time, and Carpenter also tends to simply narrate the story too frequently. The pair interact nicely and make this a generally positive track, but it doesn’t seem great. Next we get a commentary from producer Debra Hill and production designer Joe Alves, both of whom sit together for their running, screen-specific discussion. They also interact well and make this a fairly useful piece, even though it repeats a fair amount of information heard in the prior track. That’s because like Carpenter, Hill obsesses over locations; he and she both insist on telling us every time the setting shifts. That wasn’t that interesting the first time, so hearing it again didn’t do much for me. Other elements receive repetition as well. However, Alves and Hill focus more on the nitty-gritty of various visual aspects of the film, so this track gets a somewhat different emphasis that makes it worthwhile. We learn about the look of the flick and what went into that as well as more good stories from the set. This track doesn’t seem quite as engaging as the Carpenter/Russell one, but fans will likely enjoy it. By the way, initially I felt surprised that neither Hill nor Alves mentioned September 11 during their track. However, at one point they mention that they’re taping the piece in 2001, so I presume they did so before that infamous date. For a new commentary circa 2015, we hear from actor Adrienne Barbeau and director of photography Dean Cundey. Along with moderator Sean Clark, they sit together to offer a running, screen-specific look at cast and performances, cinematography, sets and locations, visual effects, editing, deleted scenes and related memories. The three participants muster a good chemistry and keep this commentary engaging. In a much-appreciate effort, Clark screened the other chats before he prepped this one, so we find a minimal number of repeated facts. The track offers a mix of nice notes and becomes a solid look at the film. 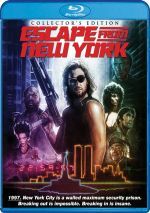 Return to Escape From New York brings us a 23-minute documentary that includes some archival materials, movie clips, and interviews. We hear from Carpenter, Russell, Hill, Alves, writer Nick Castle, director of photography Dean Cundey, and actors Adrienne Barbeau, Harry Dean Stanton, and Isaac Hayes. They cover the basics like casting, the origins of the story, locations, character development and plot themes, visual elements, and a few other aspects. Much of the material appears during the two commentaries, but this remains a fairly brisk and tight program that gives us a decent look at the flick. In the Deleted Scene area we find “Missing Reel #1”. This 10-minute and 46-second piece offers the original first reel of the film. This provides an unused introduction to Snake that adds to his backstory. It’s interesting to see but wouldn’t have worked well in the final film, as it makes him seem a little too nice and sympathetic. The reel can be watched with or without commentary from Carpenter and Russell. They reflect on the shooting of the material – despite the fact Russell barely remembers any of it – and give us some good notes in addition to the reasons behind its deletion. A few ads appear in the trailers domain. We get two theatrical promos in that domain. Two Photo Galleries appear. We see “Movie Stills and Behind the Scenes Photos” (142) and “Posters and Lobby Cards” (48). Both offer nice compilations of images. 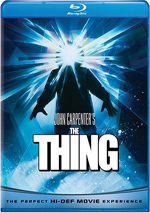 The remaining featurettes are new to the 2015 Blu-ray. Big Challenges in Little Manhattan goes for 14 minutes, 27 seconds and includes comments from DP of special VFX Dennis Skotak and unit supervisor/matte artist Robert Skotak. They give us insights into various visual effects created for Escape. The Skotaks deliver a nice array of notes. During the 18-minute, 56-second Scoring the Escape, we hear from co-composer Alan Howarth. Along with Sean Clark, Howarth talks about his work for Escape as well as working with Carpenter. Howarth chats easily and brings us a mix of useful memories. In On Set With John Carpenter, we get a 10-minute, 56-second featurette with still photographer Kim Gottlieb-Walker. As we look at her photos, she tells us stories of her experiences. She offers a solid array of comments along the way. Next comes the eight-minute, 49-second I Am Taylor. It showcases actor Joe Unger as he discusses his casting and what he recalls from the production. Unger appeared only in the deleted scene mentioned earlier, so he doesn’t show up in the final cut. Despite his limited time on the Escape set, Unger offers a decent collection of thoughts. Finally, My Night on Set lasts five minutes, two seconds and delivers info from filmmaker David DeCoteau. He briefly worked as a production assistant on Escape, so he tells us a bit about that. We find a few intriguing memories along the way. As a film,Escape From New York largely falls in the “mediocre” category. The movie itself becomes a decent little action flick that entertains me, but I don’t think it provided any particularly special thrills. The Blu-ray offers terrific audio and supplements but suffers from mediocre visuals. Fans who want the superior presentation of the film itself will stick with the 2010 Blu-ray, but the 2015 release comes with a much better batch of bonus materials.